These state-of-the-art systems deliver astounding visuals in 4K resolution, and offer greatly improved color and contrast for audiences, as well as operational efficiencies for cinema owners. 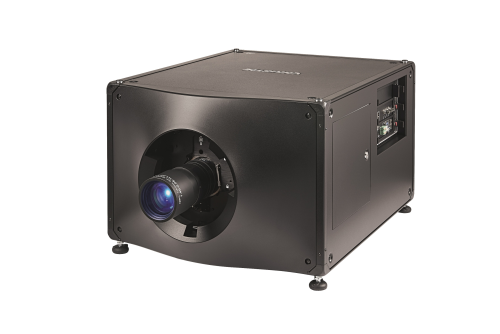 Cinema 21 is one of the first cinema chains in Asia to invest in Christie RealLaser shortly after its launch almost a year ago, purchasing 50 Christie CP4325-RGB cinema projectors, the first RGB pure laser system developed for mainstream cinema exhibition. With this latest acquisition, Cinema 21 will possess Asia’s largest fleet of Christie cinema projectors equipped with RealLaser illumination technology. Since their official launch, Christie’s pure laser CP4325-RGB, CP2315-RGB and CP2320-RGB projectors, based on the Christie RealLaser illumination platform, have been embraced by exhibitors around the world as the best replacements for lamp-based projection systems and new installations. In Asia, these include China’s Wanda Cinema Line, Taiwan’s Showtime Cinemas, Cinemark Cinema and Taiwan Innovation & Development Corporation, Australia’s HOYTS Cinemas, Thailand’s Major Cineplex, and the Philippines’ SM Cinema.